Sign up for this iconic challenge with Parkinson’s UK and climb the highest peaks in Scotland, England and Wales. The trek runs every weekend from 4 May until 26 October. 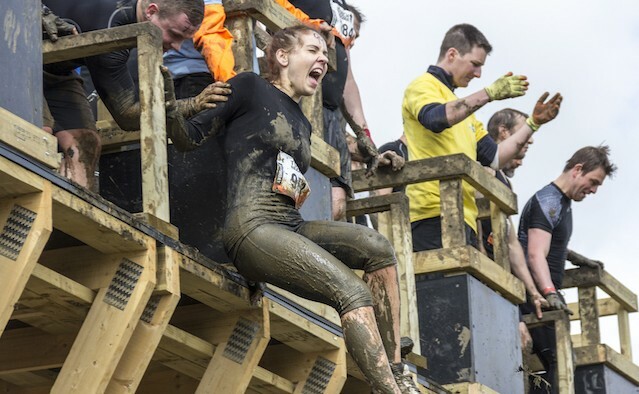 Take on the full Tough Mudder course in London on 5 May at 10am. All Parkinson’s UK team members will receive support with their fundraising, a fundraising pack and a running top. Join the Parkinson’s Foundation for an evening of reflection and celebration to support better care for everyone impacted by Parkinson’s. The Gala will open its doors at 6:30pm for cocktails, with dinner commencing at 7:30pm. Cheer on Team Fox runners as they take on the scenic 5 mile course through the woods outside Yosemite National Park to raise money for the Michael J Fox Foundation. Attend this three day international conference – focusing on filling the gaps in the transformation of science – with keynote talks by Dr Michael Ugrumov, Annette Verpillot and Dr Kiminobu Sugaya. Attend the International Conference on Integrated Care at the NBC Congrescentrum in Utrecht, Netherlands. The conference is bringing together teachers, clinicians and managers from all over the world to discuss the design and delivery of integrated health and social care. Marc Price – who starred 1980s US sitcom ‘Family Ties’ along with Michael J Fox – invites Parkinson’s supporters to attend his comedy night to help raise vital funds for the Michael J Fox Foundation. The popular event is back for its third year at The Imperial Vancouver. Join the Parkinson’s Society British Columbia for an evening of entertainment featuring local musical talent and VIP guests. General admission opens at 7.30pm and regular admission costs US $30. Join the Parkinson’s UK team for a 10k course through the English capital – passing iconic sights such as the Houses of Parliament and St Paul’s Cathedral. The signup fee is UK £30 per person, and the race will start at 10am.